Hey girl, hey! Real talk time. I totally dig all of the sound mum advice out there about how to get kids to eat a healthy diet. A healthy kid is a happy kid, right!? Of course! But the truth is, getting my guys to eat the proper nutrients isn’t quite as easy as following a few simple tips. Cause in real life, my boys (Sawyer 10, Jackson 8, and Ford 4) are picky with a capital “P!” One of my biggest concerns is making sure they get enough calcium for strong, healthy bones. So I’ve come up with these sneaky ways to get this good stuff into their diets. Check out my ideas — and share your own in the comments section! 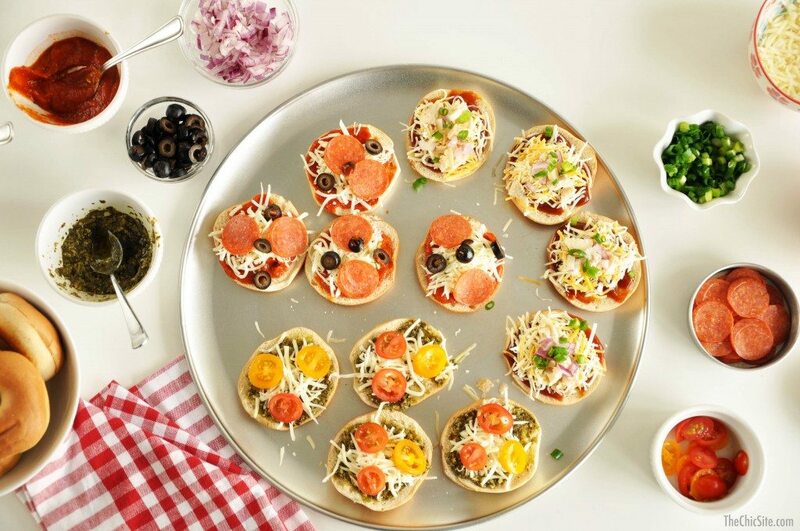 A mini bagel pizza is always delicious. Although we make the same recipe every single time the boys and I whip them up, feel free to experiment with different toppings, like olives, cherry tomatoes, and scallions. Our go-to combo: pizza sauce, mozzarella, pepperoni…and done. They see delicious, you see a calcium-rich snack. Boom. Want a quick and easy way to get extra calcium into your child’s diet without making a mess? 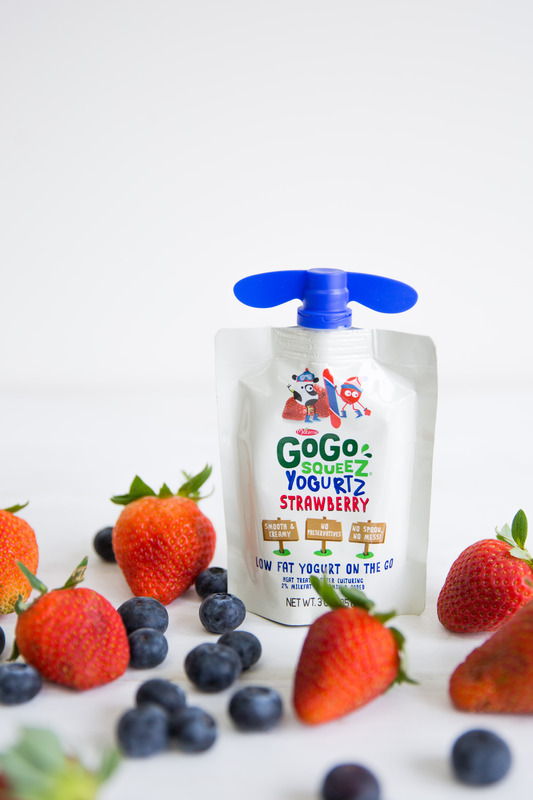 Go with GoGo squeeZ YogurtZ (see what I did there?). They’re an incredible source of calcium and vitamin D, and each pouch has four grams of protein. They also come in three different flavors (strawberry, berry, and banana), so you can change things up. I put pouches in my kids’ lunches, and they are good to go. Running late for an after-school activity? These all-natural pouches are the perfect snack on-the-go. They don’t even need to be refrigerated! Us mums know that kids will eat almost anything if you put it on a stick. That’s why I love kabobs. And here’s the thing: Kabobs don’t have to be fancy; you can put any combo of veggies, meat, and cheese that your kids love — and voila! A great healthy snack or lunch main. Need a little inspiration? 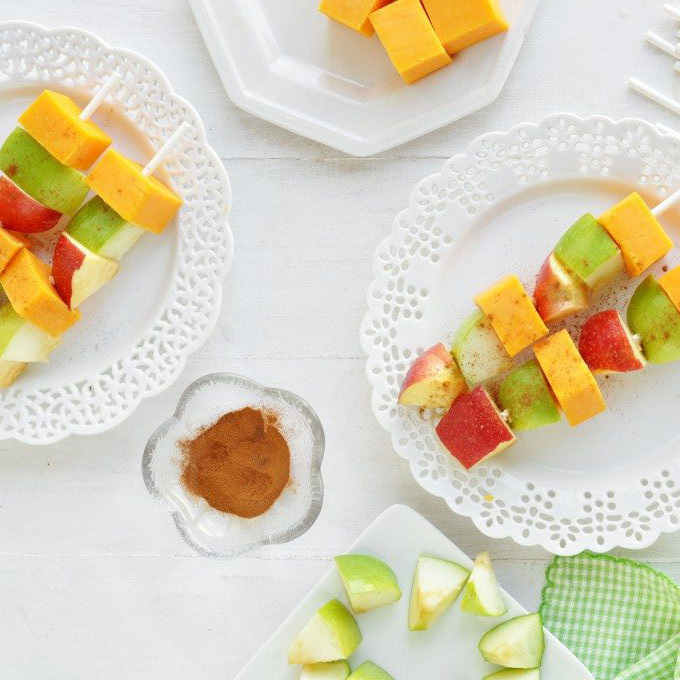 Try our Cheddar Apple Pie Kabobs. All you need is sliced green and red apples, cheddar cheese, and cinnamon to sprinkle on top. Yum! Y’all know how much I love a smoothie in the morning, so I’ve gotten my kids hooked on them, too. They’re delicious, easy to make, and you can fill them with all sorts of healthy things. 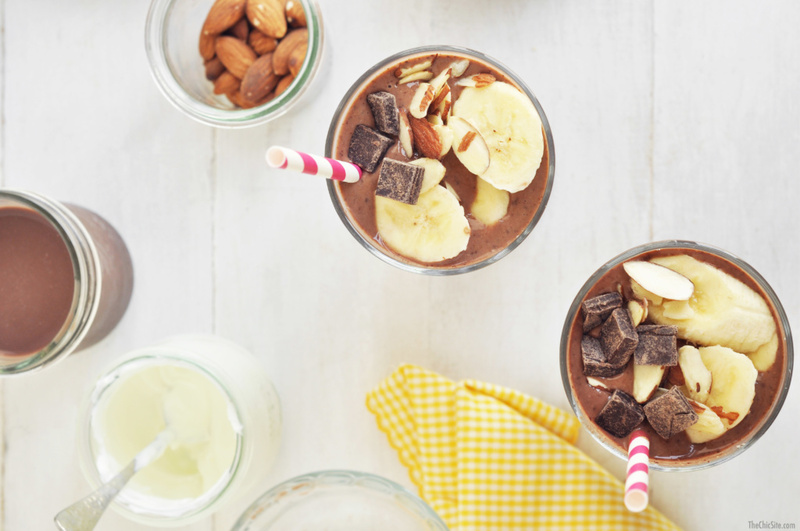 To make this smoothie, I combine 1 banana, 1 cup of chocolate almond milk, and ½ cup of Greek Yoghurt into a blender. I serve it in a tall glass and garnish with fresh banana slices, almonds (another secret source of calcium), and chocolate cause every kid loves chocolate, am I right? It’s breakfast (or an after-school snack) in a flash. Rachel Hollis is the founder of the popular lifestyle blog www.thechicsite.com and Los Angeles-based event-planning firm, Chic Events. At 27, she was named by Inc. Magazine as one of the “Top 30 Entrepreneurs under 30.” She has designed and produced fabulous parties for many of Hollywood’s elite, including Bradley Cooper, Rashida Jones, Al Gore, Jennifer Love Hewitt, Ivanka Trump, Jamie King, and Cuba Gooding Jr. (just to name a few). In February of 2014 she published her first book, a roman a clef called Party Girl about the years she spent as a celebrity event planner. The self-published title proved so successful that Lake Union Publishing purchased it and the subsequent sequel. Lake Union re-released Party Girl in December of 2014 and will publish the sequel, Sweet Girl in May 2015. In Fall of 2016, Thomas Dunne Books will be publishing Hollis’s cookbook entitled Fancy Trash, an irreverent collection of recipes for affordable meals presented so polished you'd never know their "lowbrow" origins. Most recently, she was named as the Best Blogger for Entertaining by Better Homes and Gardens. Rachel lives in Los Angeles with her husband and three boys.